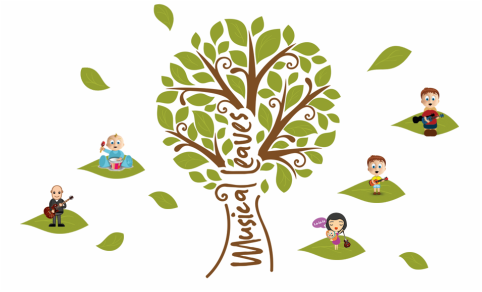 ​Musical Leaves is a collaboration between education and professional music. Karen and Mike are the founders of Musical Leaves and they strive to create the highest quality music and education experiences for all ages and abilities across the community. Drawing from their combined expertise and experience they have a range of musical and educational products and services including books, recordings, workshops, masterclasses, performances and compositions. Please contact Karen and Mike to discuss your musical and/or educational requirements. 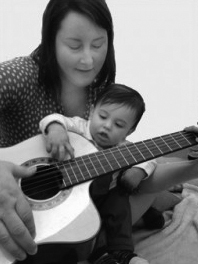 ﻿﻿Karen B.Ed Hons (Music) MA Education is a qualified teacher and a specialist in Early Childhood Music. She is an invited member of DEYMN, Music F’EAST and LEYMN the core steering groups for early years music in Devon, East of England and London, and is the former head of the British Academy of New Music in London. Karen is able to undertake research on behalf of projects and organisations, and provide training to early years workers. For enquiries or details please contact Karen. 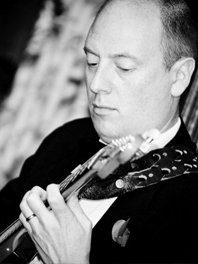 ﻿A professional session guitarist with 30 years experience Mike has a music background including everything from West End Shows such as Lion King and Sunset Boulevard, artists such as Will Young, Chaka Kahn and Shirley Bassey, to film and TV shows such as Martin Scorsese’s Hugo and the Pop Idol band. Teaching in London for the last 10 years alongside his professional engagements Mike is also an exceptional teacher. Having recently relocated to Devon with his family Mike is now available as a Musical Leaves teacher on guitar, bass and ukulele.